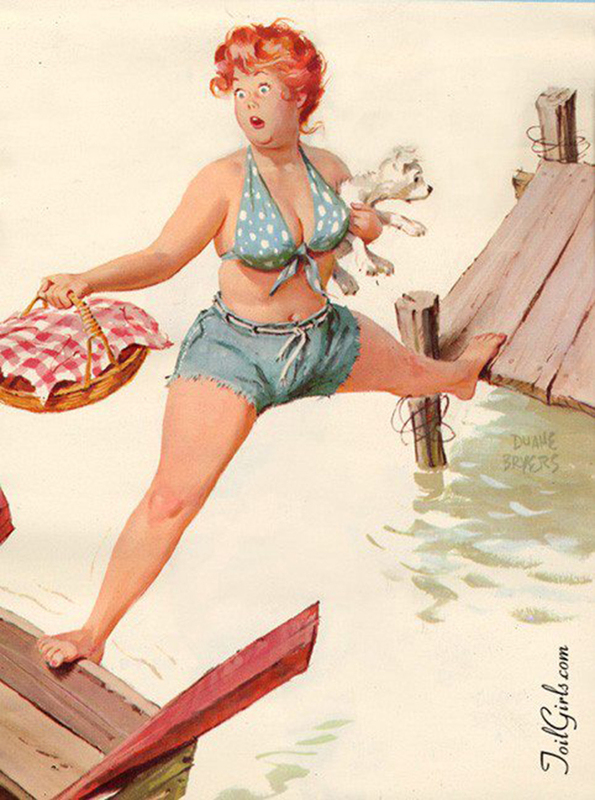 The typical 1950s pin-up girl was slim and conventionally-posed. 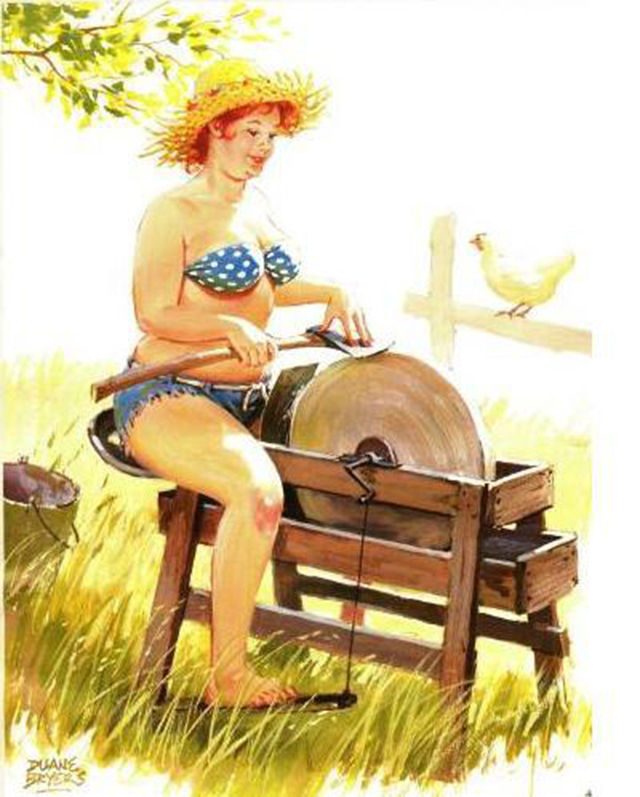 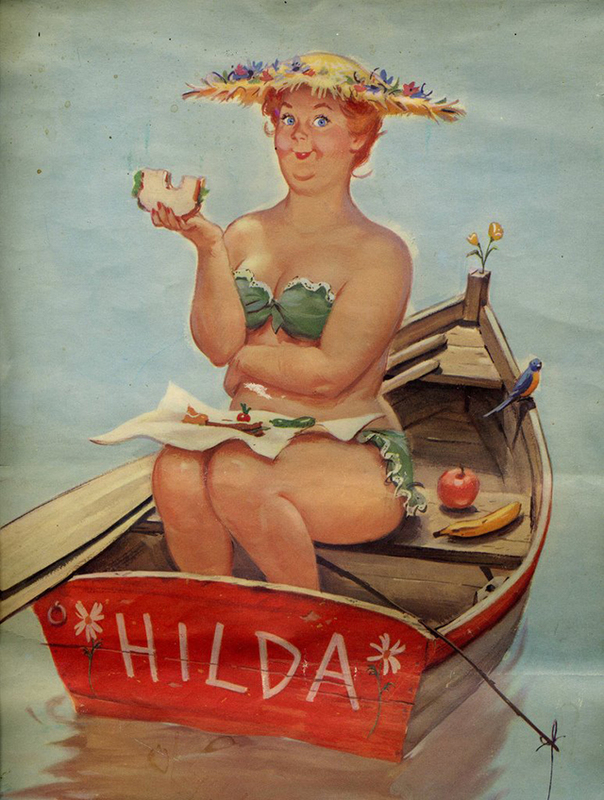 But a recently-unearthed collection of images has revealed the less familiar Hilda, a plus-sized redhead who broke the mold with her plump figure and light-hearted demeanor. 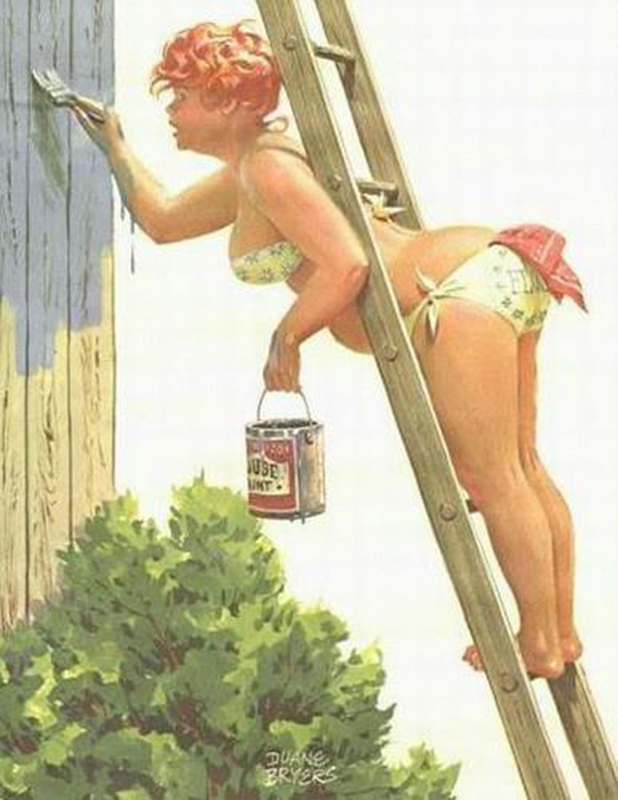 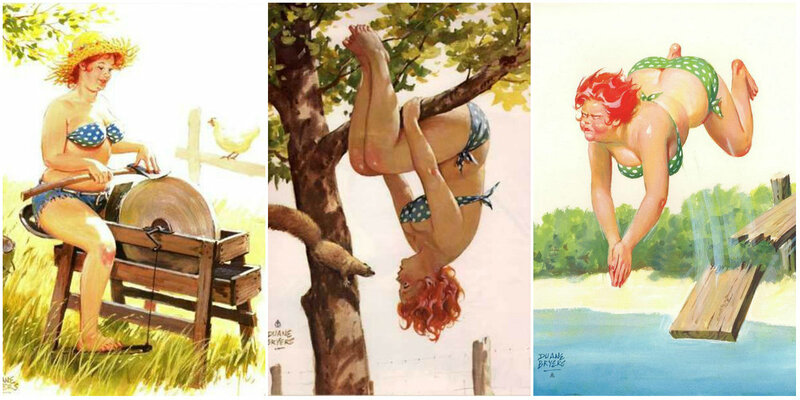 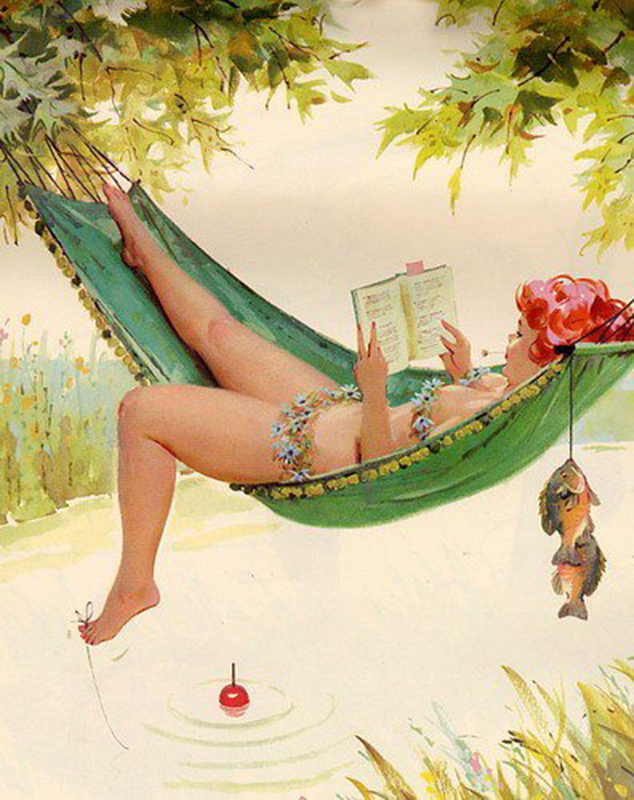 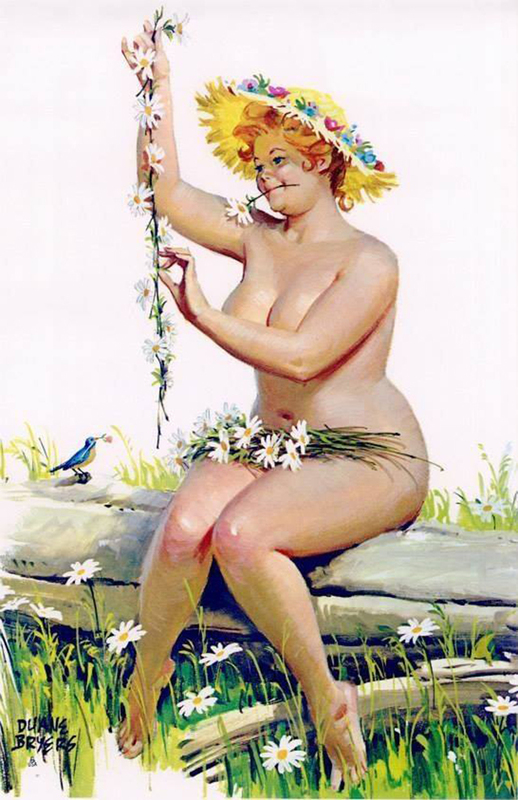 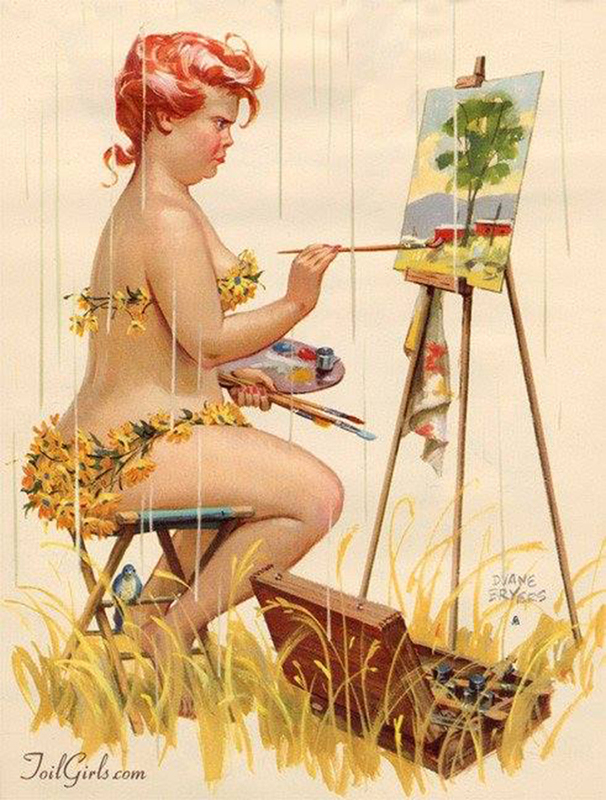 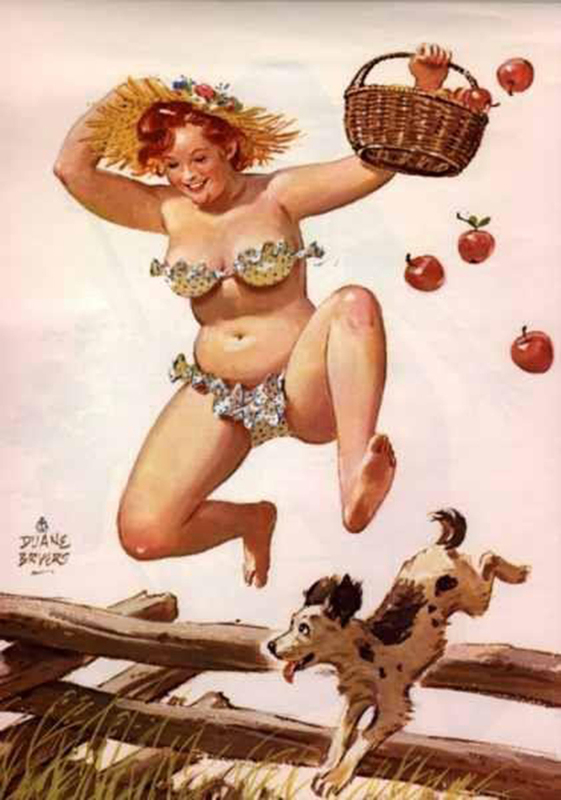 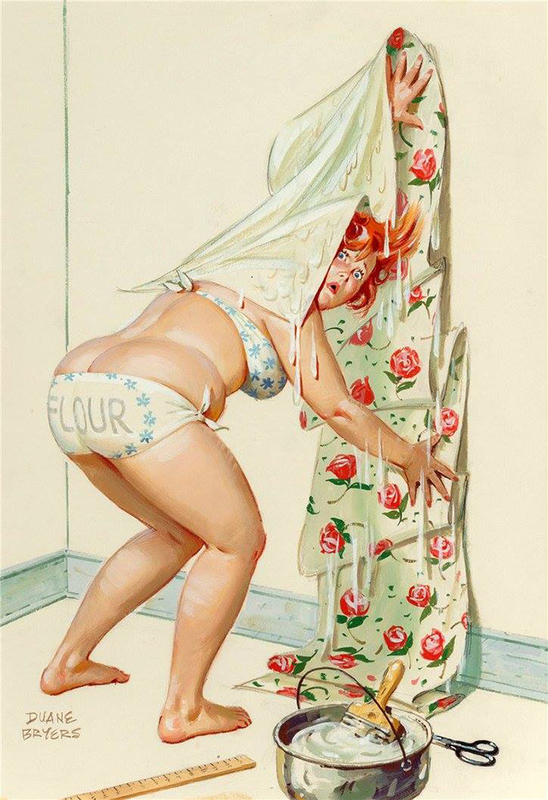 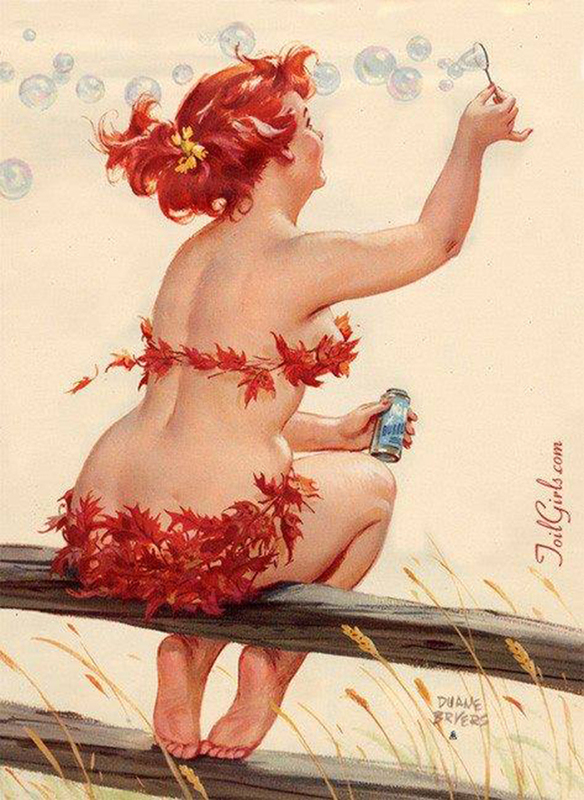 Hilda, the creation of illustrator Duane Bryers (191-2012) and pin-up art's best kept secret. 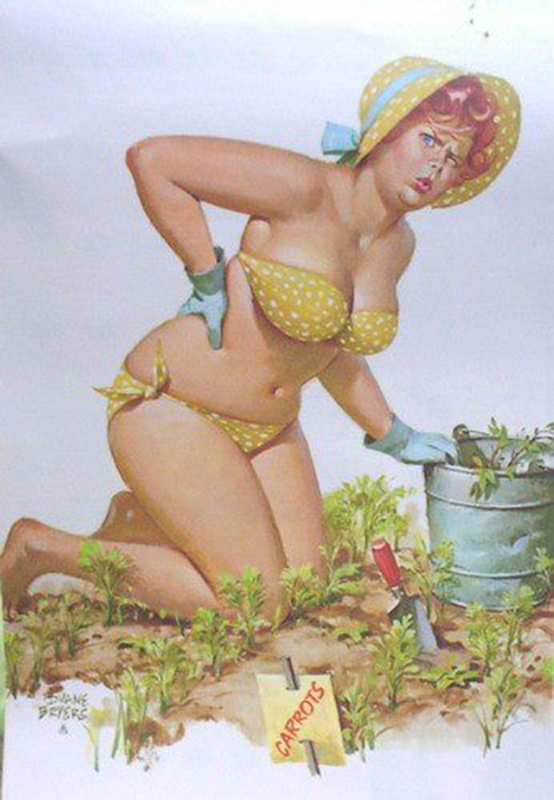 Voluptuous in all the right places, a little clumsy but not at all shy about her figure, Hilda was one of the only atypical plus-sized pin-up queens to grace the pages of American calendars from the 1950s up until the early 1980s, and achieved moderate notoriety in the 1960s. 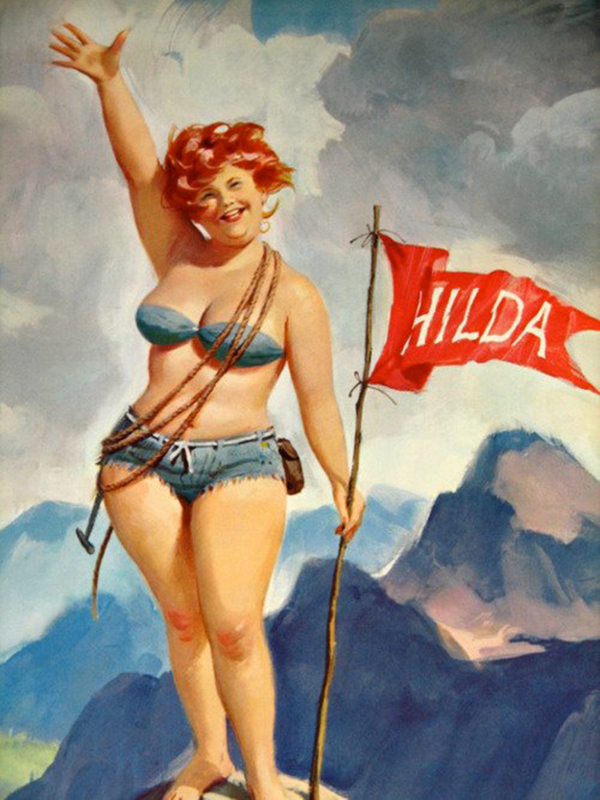 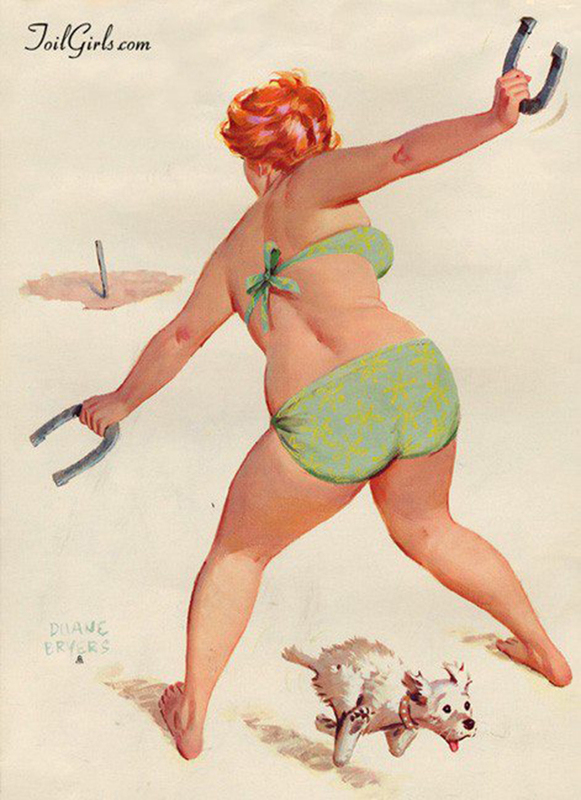 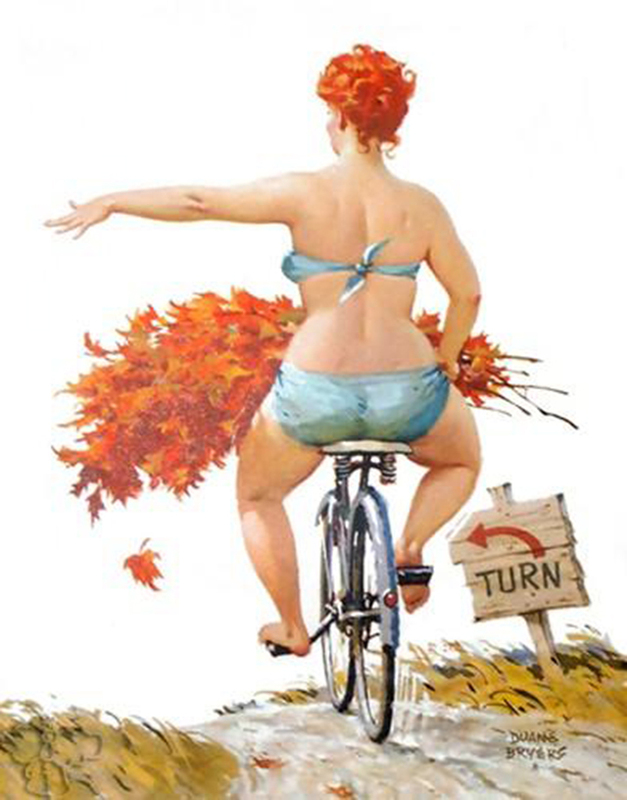 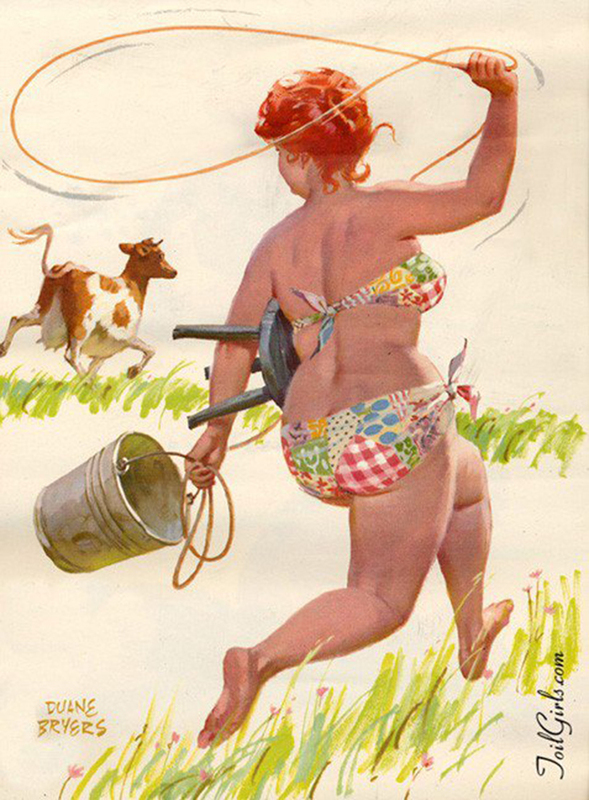 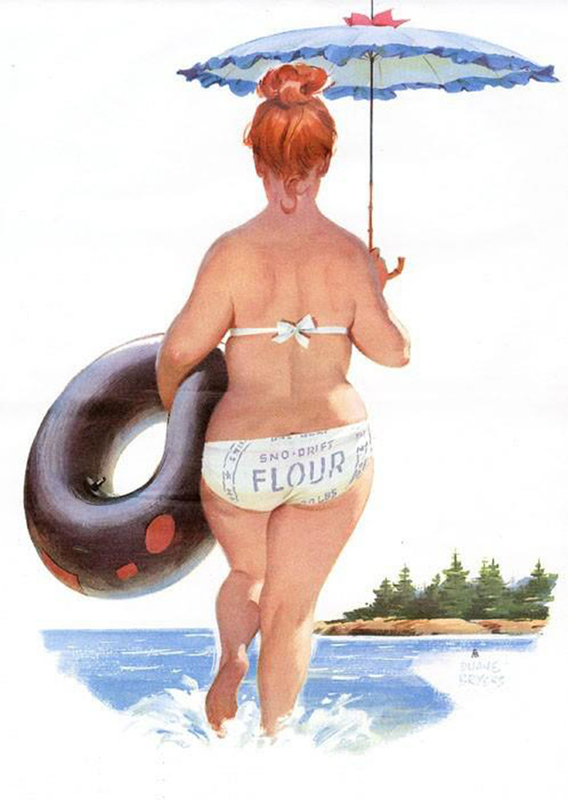 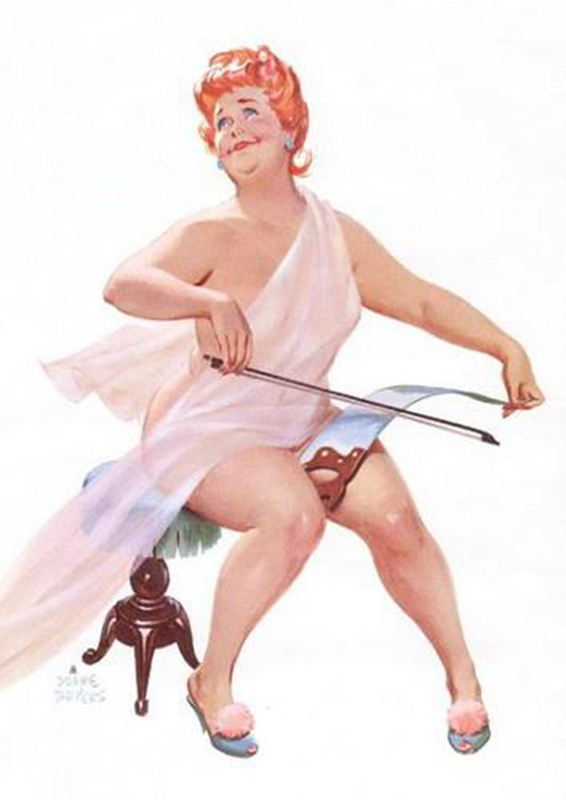 Not only was Hilda one of the only plus-sized pin-up girls of her time, but she also displayed a fun, carefree and somewhat clumsy attitude, making her all the more charming.